This week Jeff a Trekkie Aaron and I met at the Buffalo comic con joins David to talk TOS episode Balance of Terror! We briefly reminisce about the Comic Con where we met we then start to talk Star Ship designs and speculate on Star Trek Discovery. Mere hours after this was recorded we get the news of the time period as well as other details. So forgive us on being behind on the details. Also please forgive no officially episode recap as we just dive into talking about the episode! It’s a classic go check it out if you’ve not seen it in a while! Hide your Romulan Ale or drink it before the Federation confiscates it it’s time for your weekly shot of Star Trek! 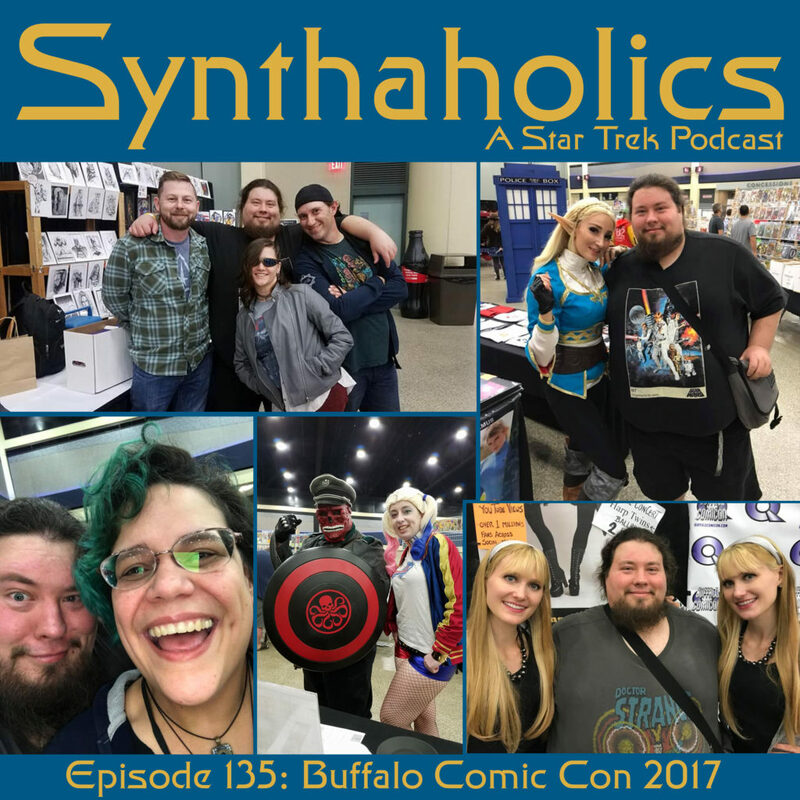 Episode 38: Buffalo Comic Con Minisode! 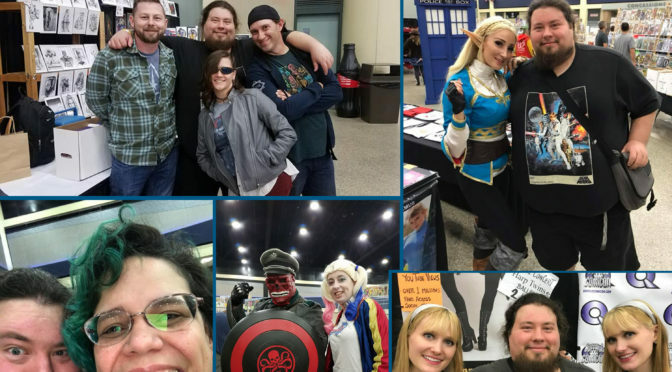 It’s been a long time coming our audio from the Buffalo Comic Con. Fayth joined Aaron and I via Skype and we tried to get the convention goers to stop by and talk their love of Star Trek! This is just audio from the convention so it may not sound as clean as a normal episode. I didn’t want to wait any longer for those of you waiting to hear about the Buffalo Comic Con! Grab your cosplay and some Synthahol it’s time for Synthaholics!